Be Still My Heart: The Eighth Magnolia? Updated!! See detailed photos here!! “Well, I think we’ve found our eighth Magnolia,” I replied. “Oh,” he said quietly, as he toddled back to the bedroom. No additional information was needed. 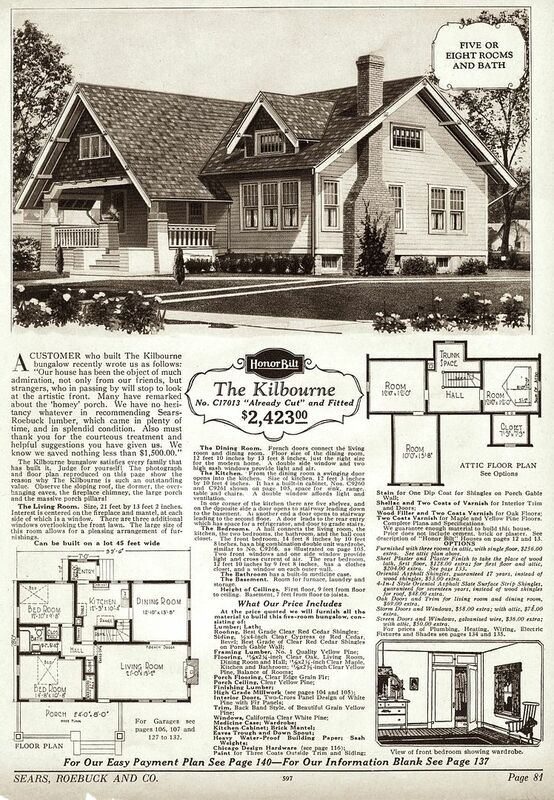 Every month, I get a handful of emails from people who are 100% certain that they’ve found the crème de la crème of all kit homes: The Sears Magnolia. And 98% of the time, they’re wrong. 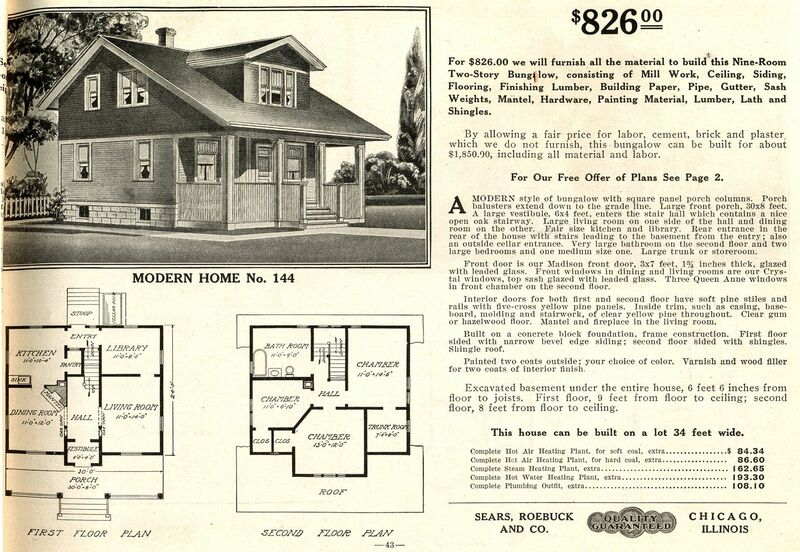 Sears sold kit homes from 1908-1940, and in that 32-year span, they offered 370 designs. Of those 370 designs, the Magnolia was the fairest of them all (and the biggest and the most expensive). 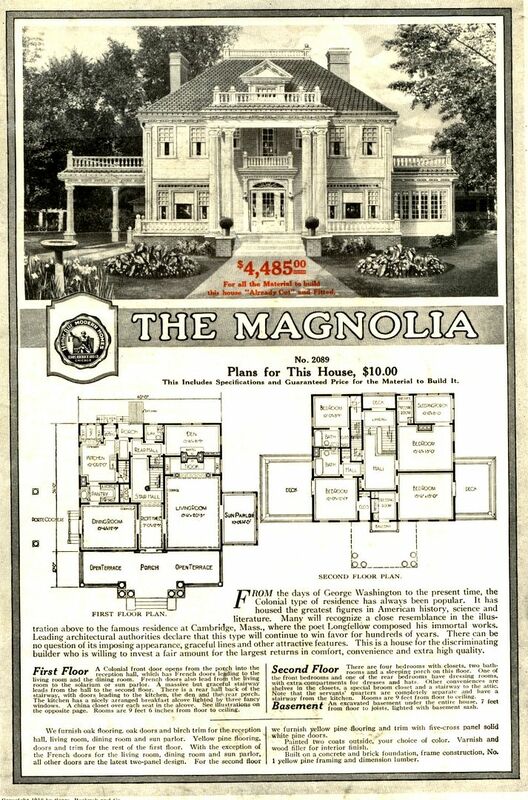 In 1918 (the year the Magnolia first appeared), 90 designs were offered, and only 13 of those homes cost more than $2,000. 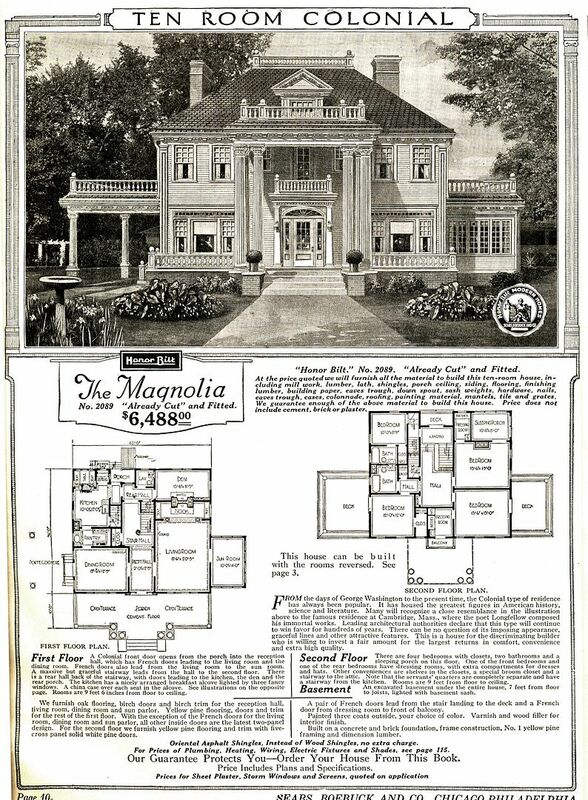 Not counting the Magnolia, the most expensive house in that catalog was the Preston, at $2,812. The other 76 models offered in 1918 were under $2,000, and the overwhelming majority of those were less than $1,200. The price tag for the Magnolia was $4,485. 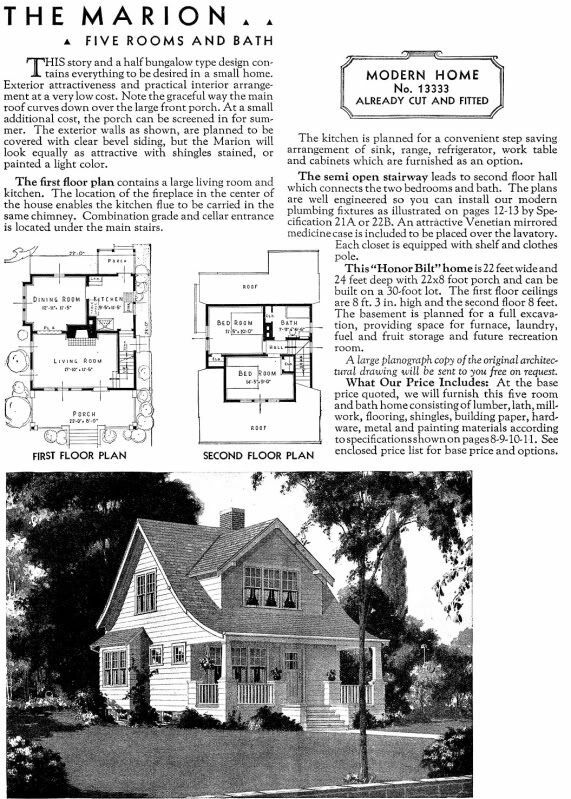 Most of the Sears Homes in that 1918 catalog had less than 1,000 square feet, and the Magnolia had almost 3,000 square feet. And then in May 2011 (thanks to this blog), someone contacted me and said that there was a Sears Magnolia in Syracuse, NY. And that’s how we found the 7th Magnolia. The discovery made the local papers, and it was all pretty exciting. Click here to read the article from May 2011. All of which brings me to this newest discovery of an 8th Magnolia! 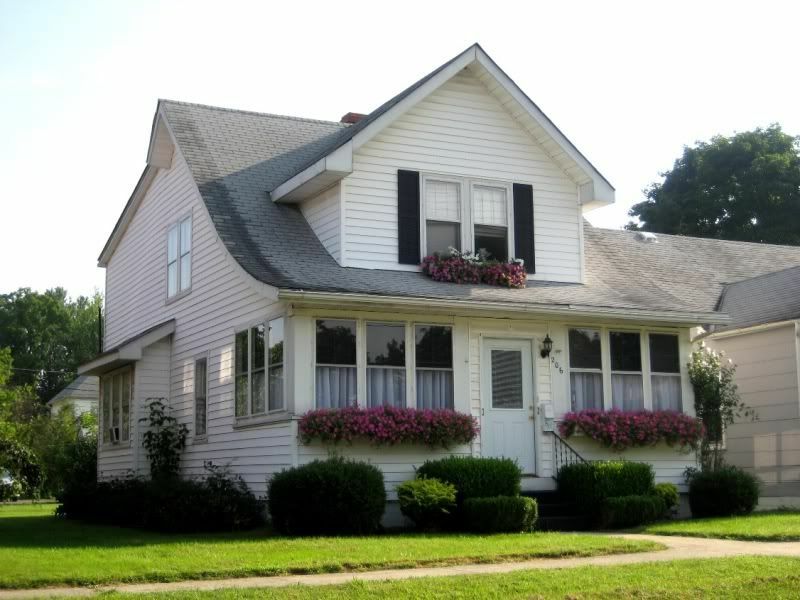 Friday evening, someone contacted me and said that he lived in a house that was across the street from a Sears Magnolia. We exchanged several emails and I started to get pretty interested in this story. It had a lot more background and depth than the typical “There’s a Magnolia just down the street” stories. 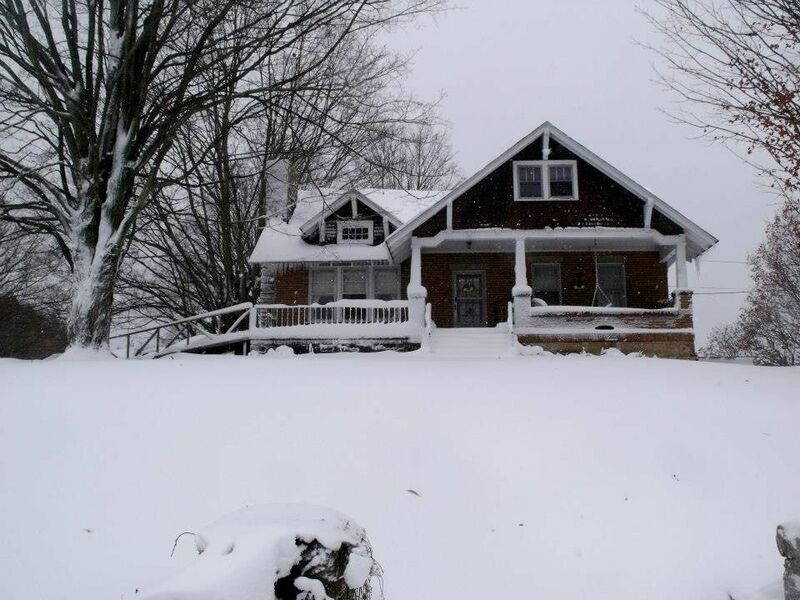 Thanks to a lot of help from Rachel Shoemaker and Mark Hardin, we were able to see the house via Bing Maps, and I have to say, I think we’ve got a winner. In fact, I’d be willing to say that I’m 90% certain that we’ve found our 8th Magnolia. I love West Virgina and I’m headed to Elkins in six weeks (with the aforementioned hubby) to visit family. 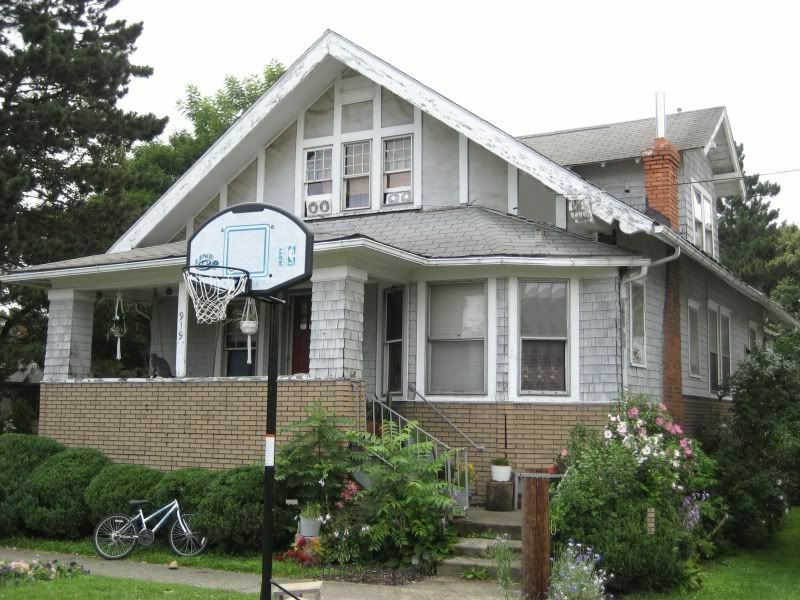 I’d sure love to stop by this sweet old kit house and check it out in person. 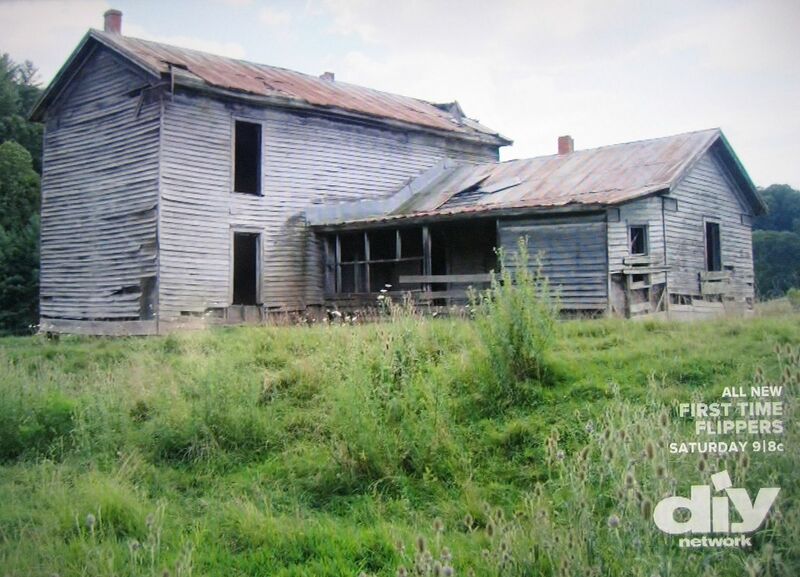 Boy oh boy, would I love to see this fine house in the flesh. 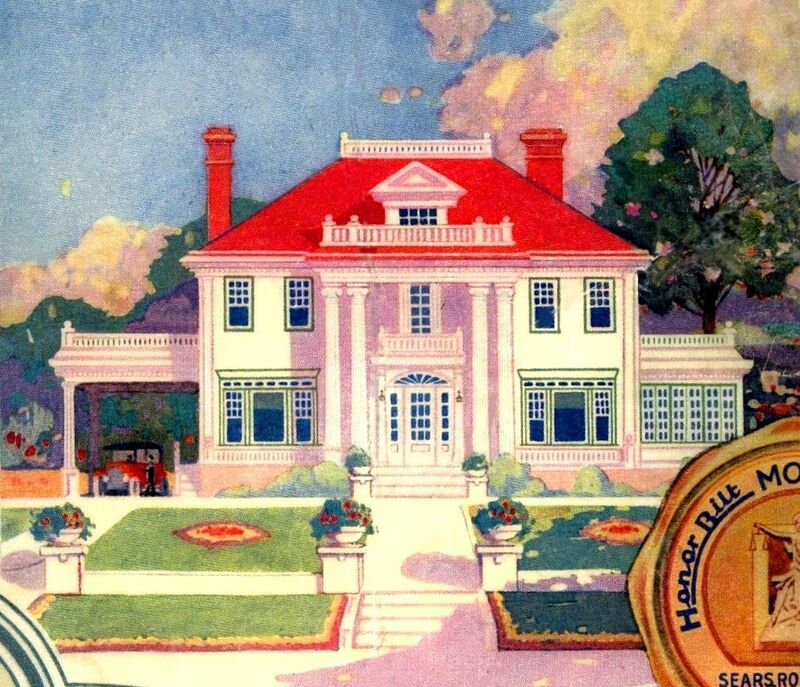 The Magnolia was featured on the cover of the 1918 Sears Modern Homes catalog, and yet, those leaves in the border are not Magnolia leaves. What a fraud! 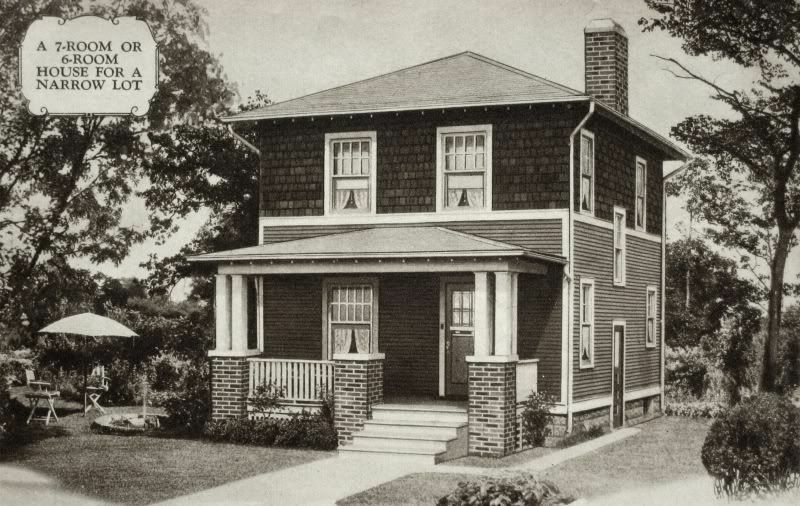 The Magnolia was first offered in the 1918 Modern Homes catalog (shown above). In 1919, the Magnolia hit its highest price: $10,000, more than double its price in 1918. In 1921, the price of the Sears Magnolia dropped to $6,489 and one year later, it would drop to $5,849. 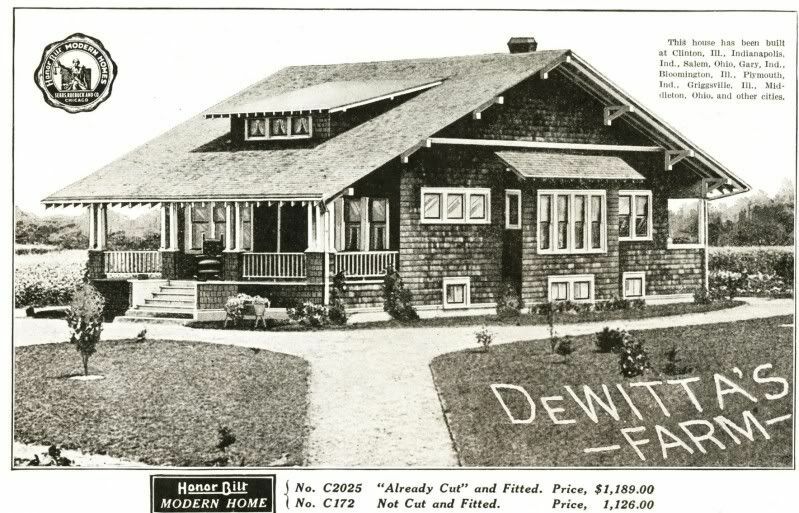 Following WW1, prices of building materials fluctated dramatically. 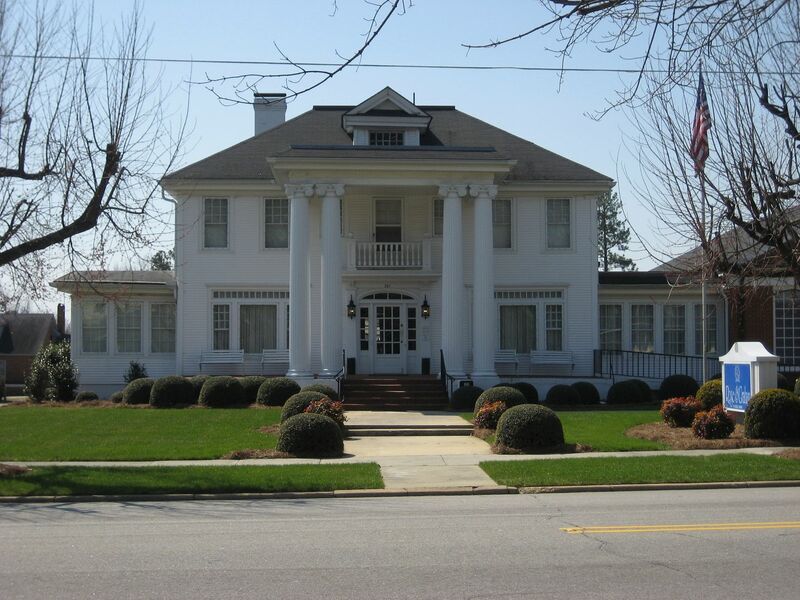 In March 2011, a reader told me that there was a Sears Magnolia in Benson, NC. 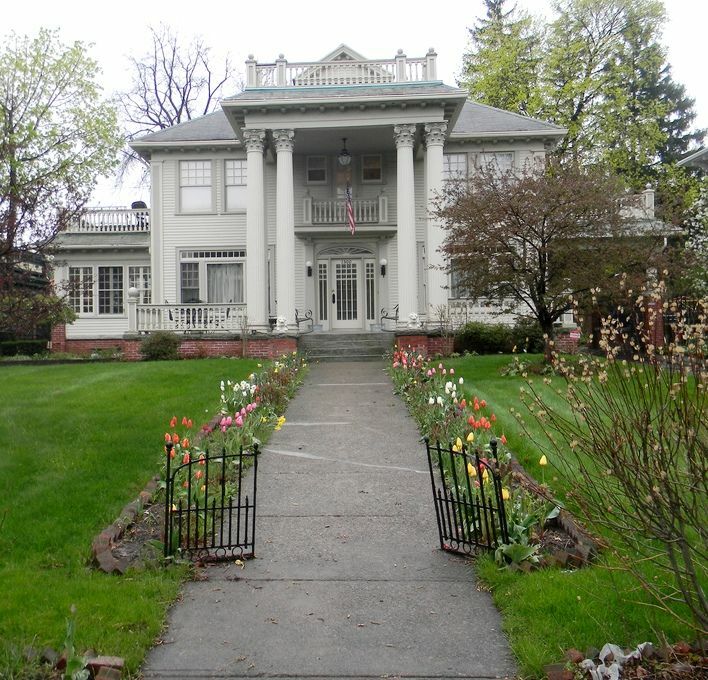 The Sears Magnolia in Canton, Ohio was almost lost due to neglect but was lovingly restored in the 1990s. 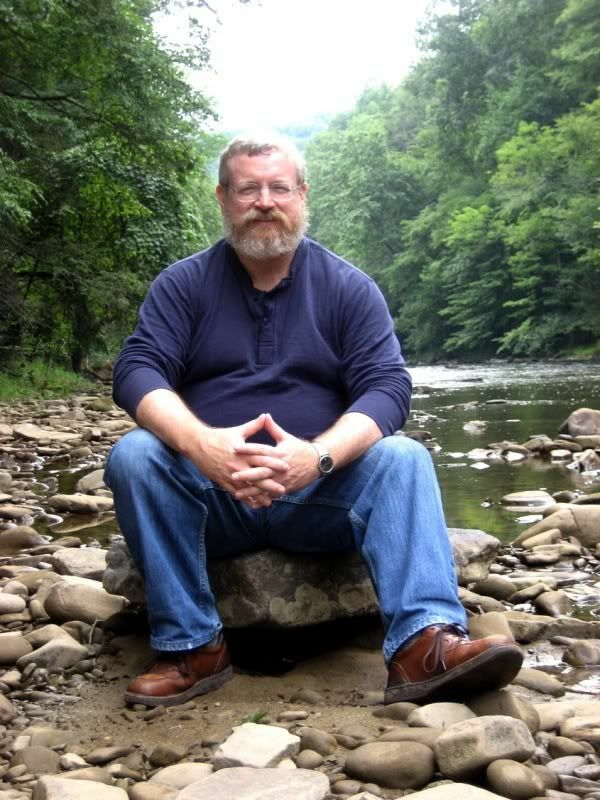 Photo is copyright 2012 Janet's Hess LaMonica and may not be reproduced without written permission. 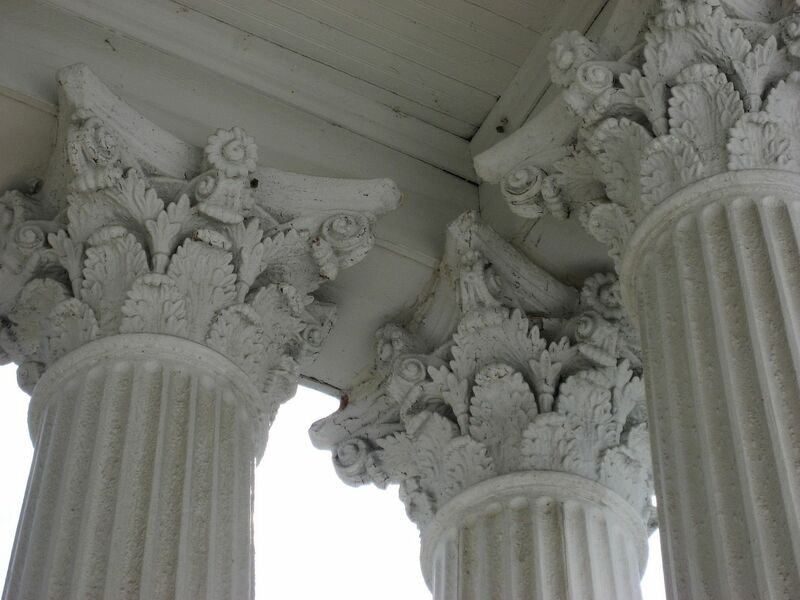 Close-up of the columns on the Sears Magnolia in Piedmont, Alabama. 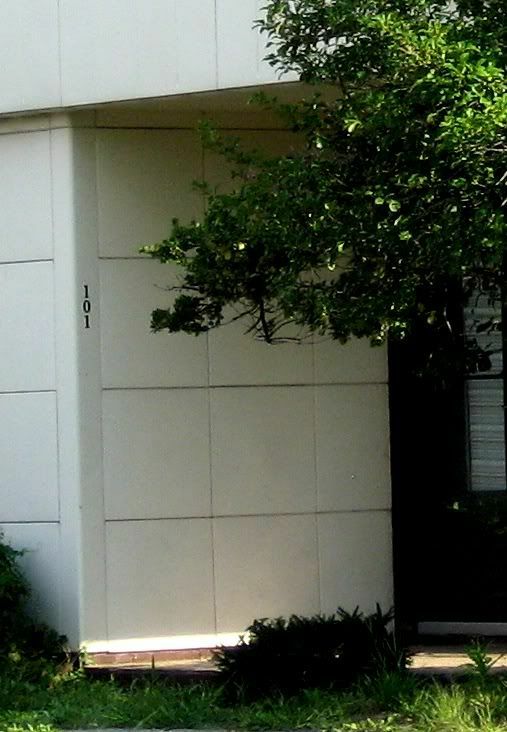 To learn more about the Sears Magnolias among us, click here. SAVE the Westly in Lewisburg, WV! When “Back to the Future” first came out (1985), I was a lass of 26, and yet my sympathies readily fell to the Clock Tower Lady (Elsa Raven) and the Hill Valley Preservation Society. Heck yeah, they needed to save that Clock Tower in Hill Valley! 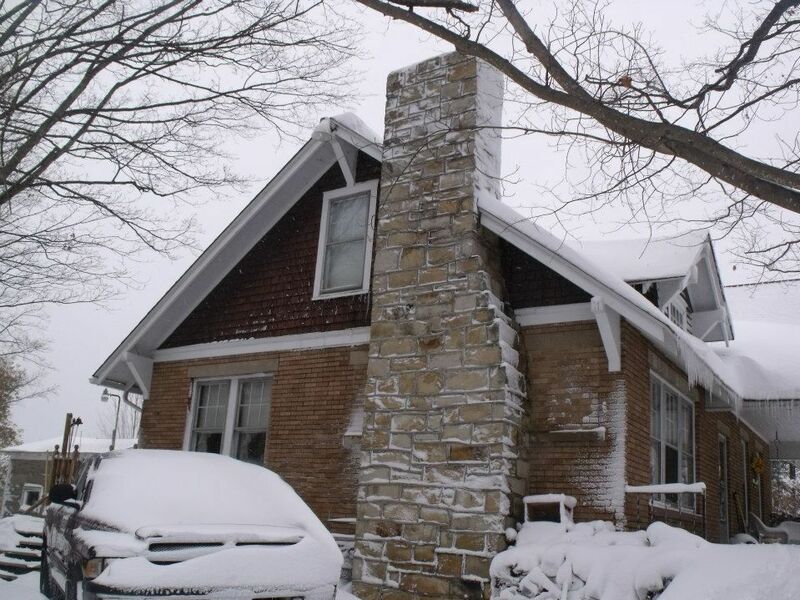 It was an integral part of the community and its history and culture. 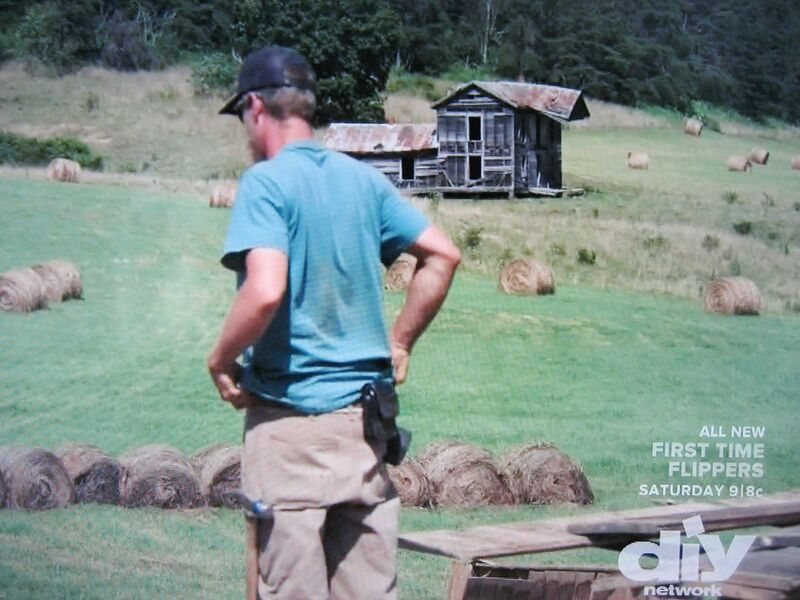 And now, a historic preservation group in my much-loved state of West Virginia is trying to save a Sears kit home that I identified during a visit to their town in Fall of 2010, and heck yeah, they need to save that Westly. 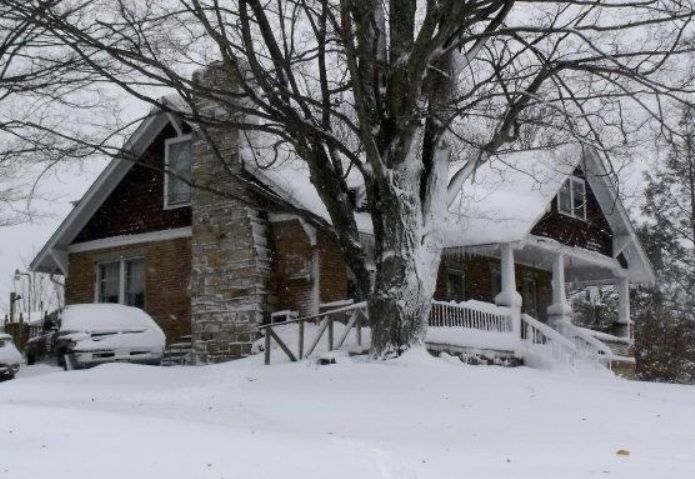 The endangered house is in Lewisburg, WV. 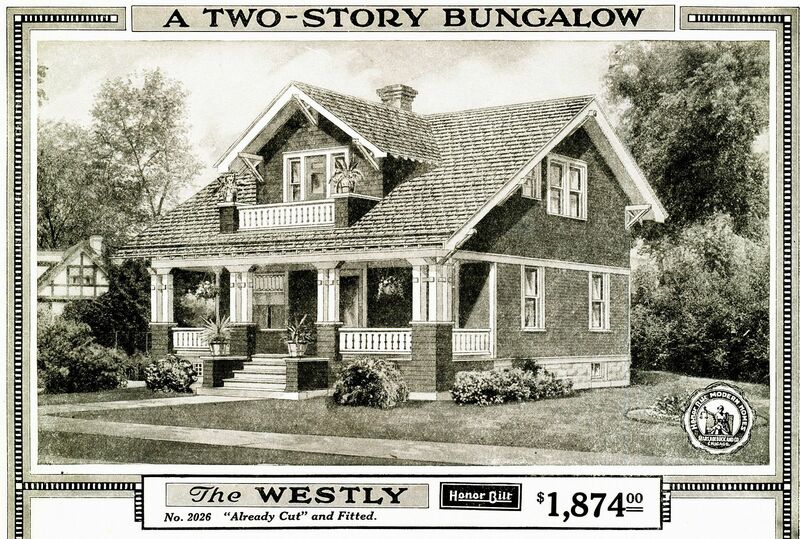 The Sears Westly was first offered in the very rare 1909 Sears Modern Homes catalog, and by 1914, this model had undergone a significant “face lift” and the new Westly looked quite a bit different from the old Westly. 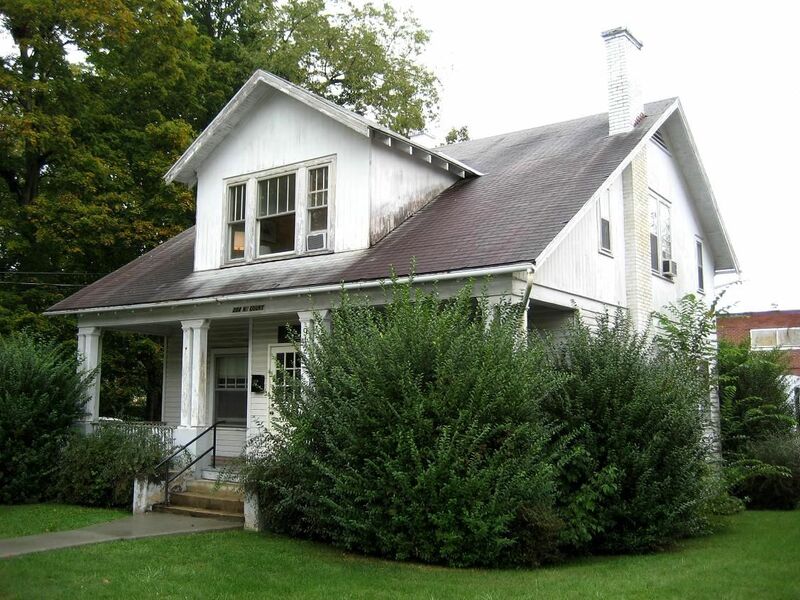 According to the folks at PAWV, the Westly in Lewisburg was built about 1924 or 1925. Perhaps at some date in the not-too-distant future, I’ll have the opportunity to see the inside of this fine old house and perhaps learn a bit more about this piece of architectural history. 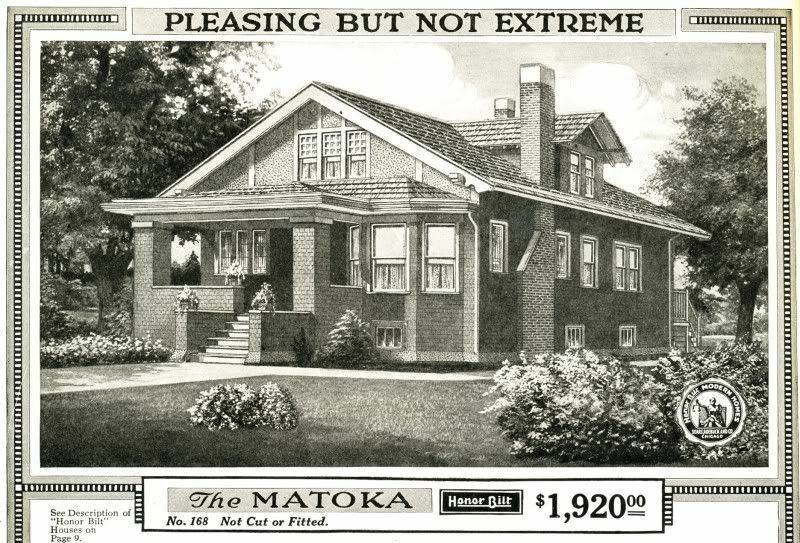 Unfortunately, thus far, I’ve not had good success in saving kit homes in college towns. Last year, I blogged continually about another rare kit home (in Bowling Green, OH), threatened with extinction. 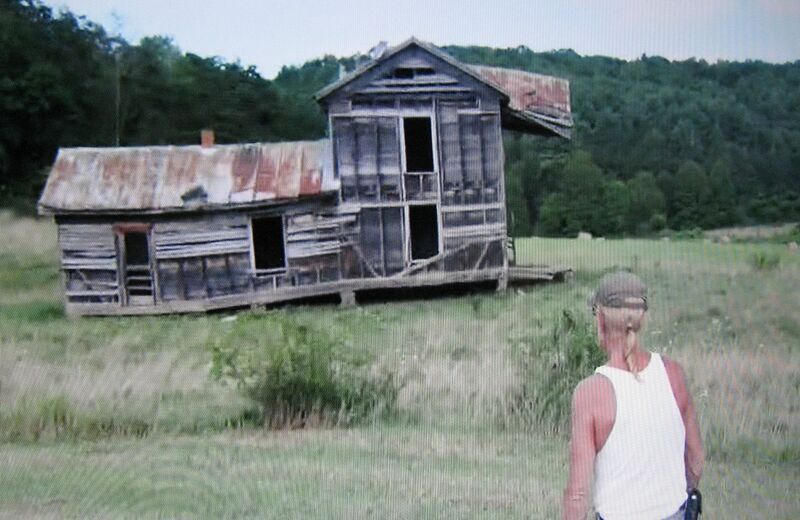 Seems like all my blogging accomplished was to get that house torn down AHEAD of schedule. 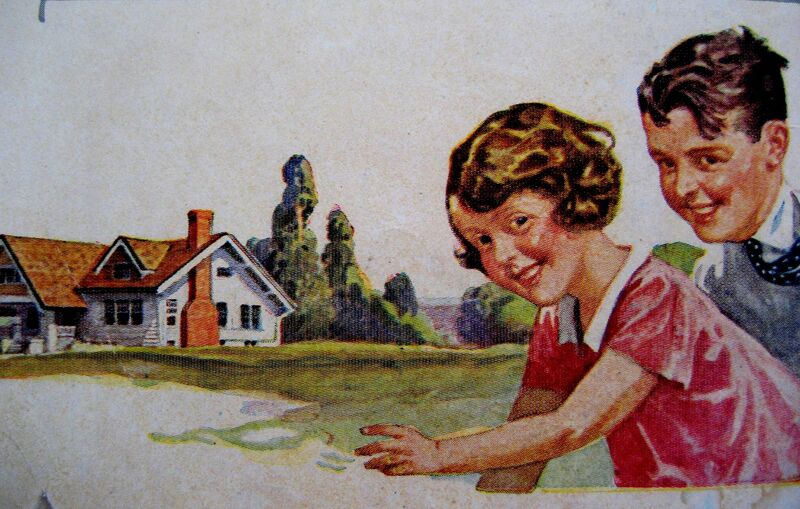 However, that house was on the college campus, and colleges are notorious bungalow-eaters. Hopefully, the Westly in Lewisburg will be spared that fate. 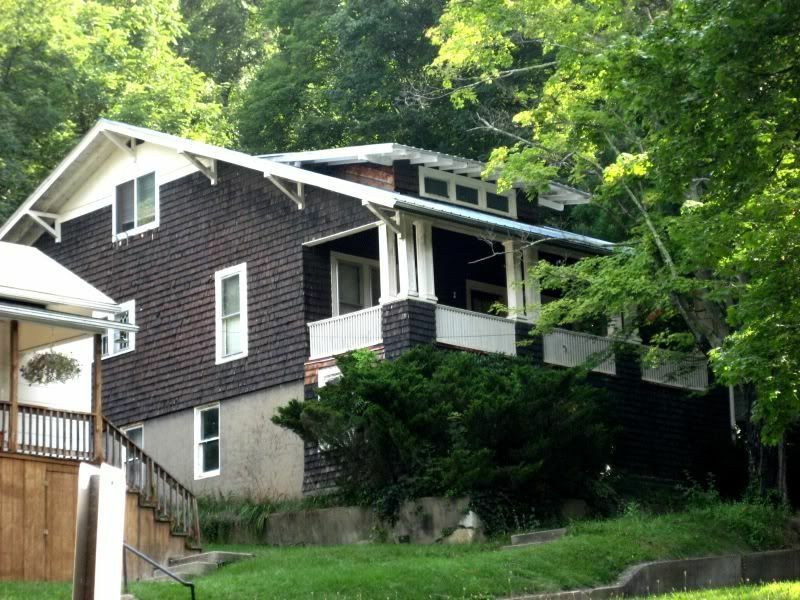 As I understand it, this house is not on a college campus, but is currently used as a West Virginia University Extension Office. 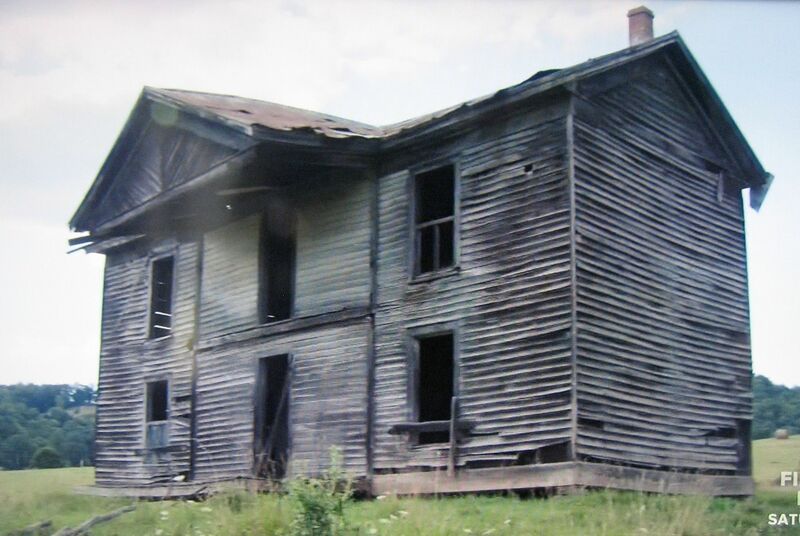 It is not threatened with immediate demolition, but is dying a slow, ugly death due to neglect. 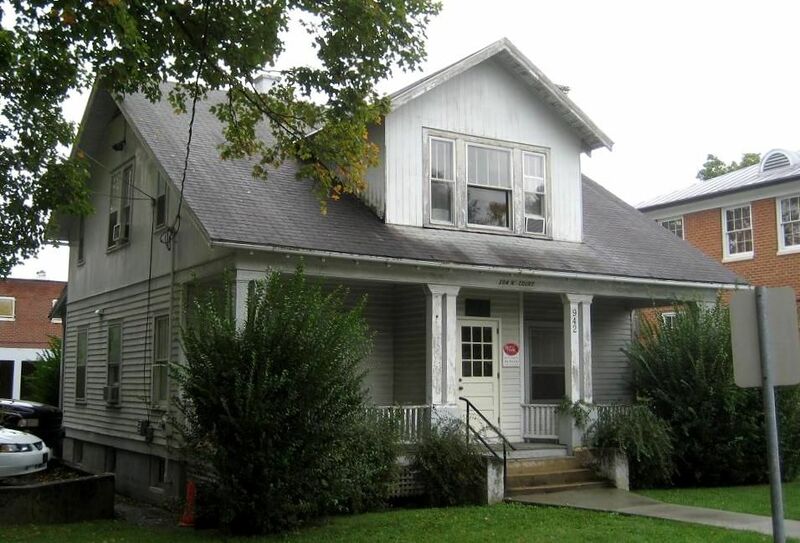 Please visit this website to learn more about what you can do to save the house in Lewisburg. 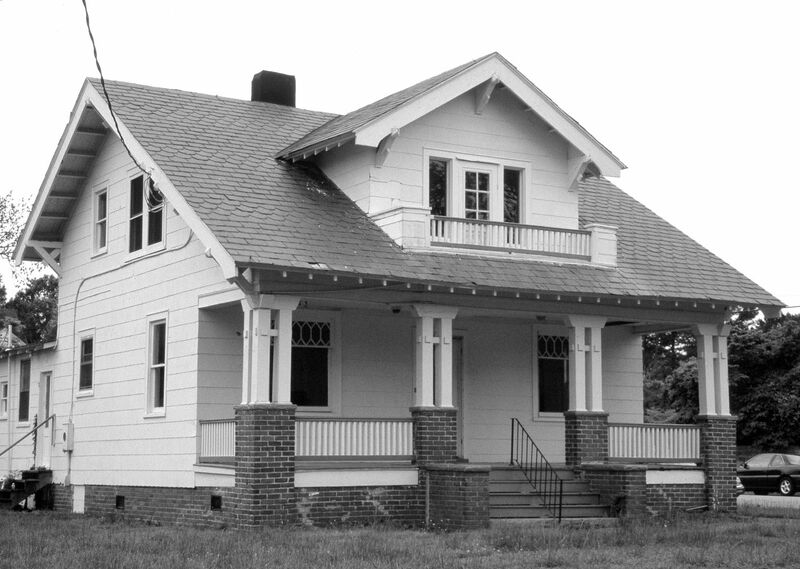 Click here to learn more about the kit homes in Lewisburg. And a PS to the folks at Preservation Alliance of West Virginia: If it would help your cause, I’d gladly come out and give a talk on your kit home(s) gratis. Please contact me by leaving a comment below. 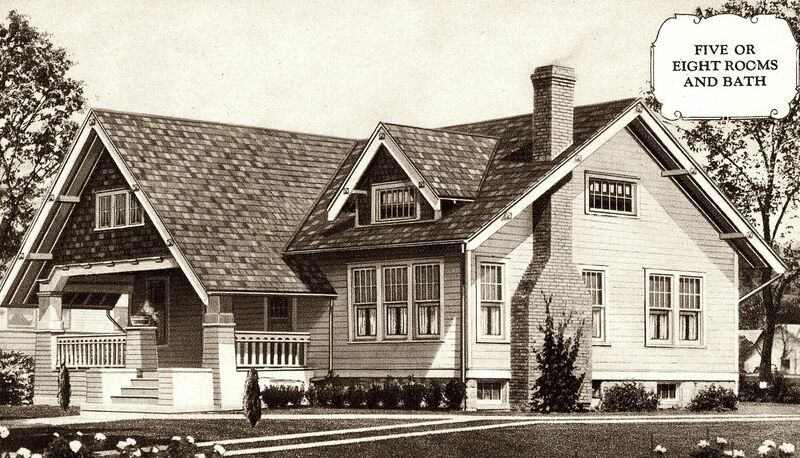 The Sears Westly was first offered in the very rare 1909 Sears Modern Homes catalog. 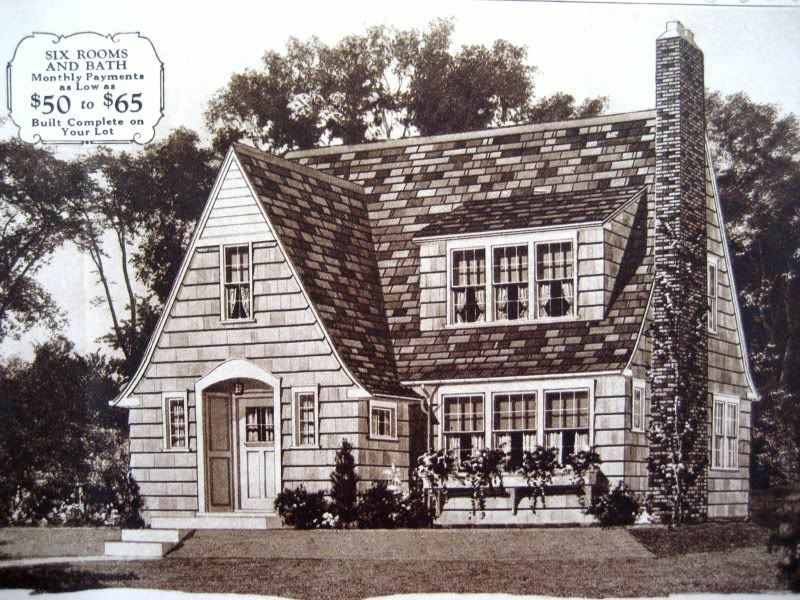 It was then known merely as Modern Home #144. 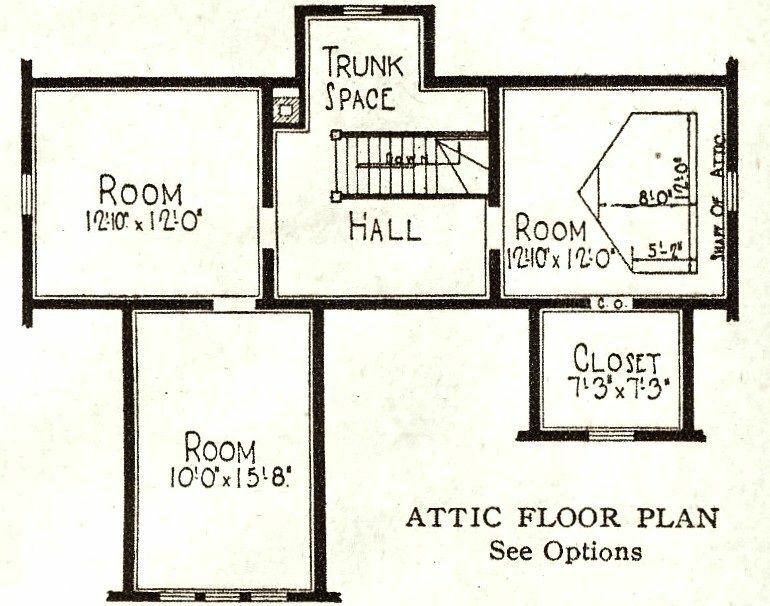 Note the floorplan, which is a little different from the Westly that was offered in 1915 and beyond. 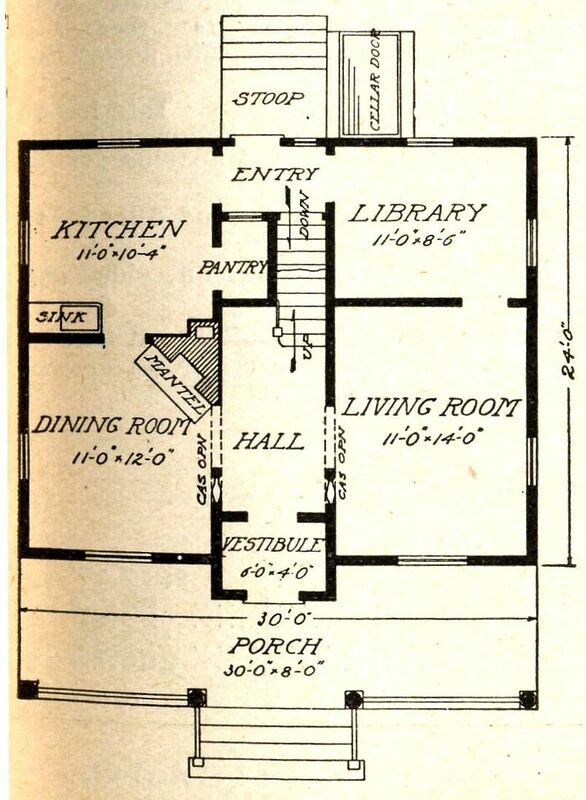 The first-floor floorplan shows a vestibule, which is certainly an eye-catching feature. 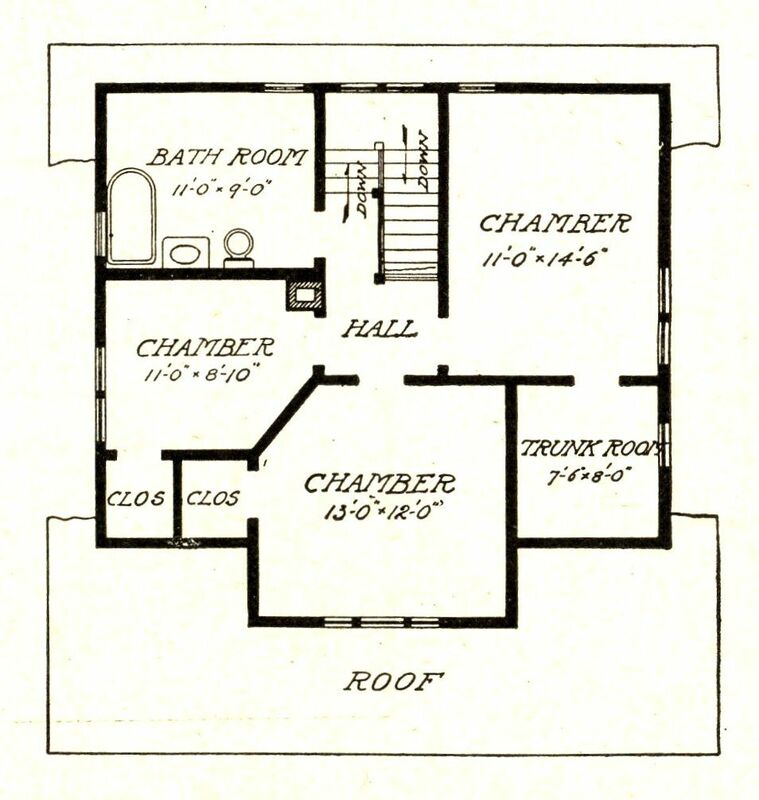 And the second floor is a bit different from the later model Westly, too. And here's the Westly in Lewisburg! 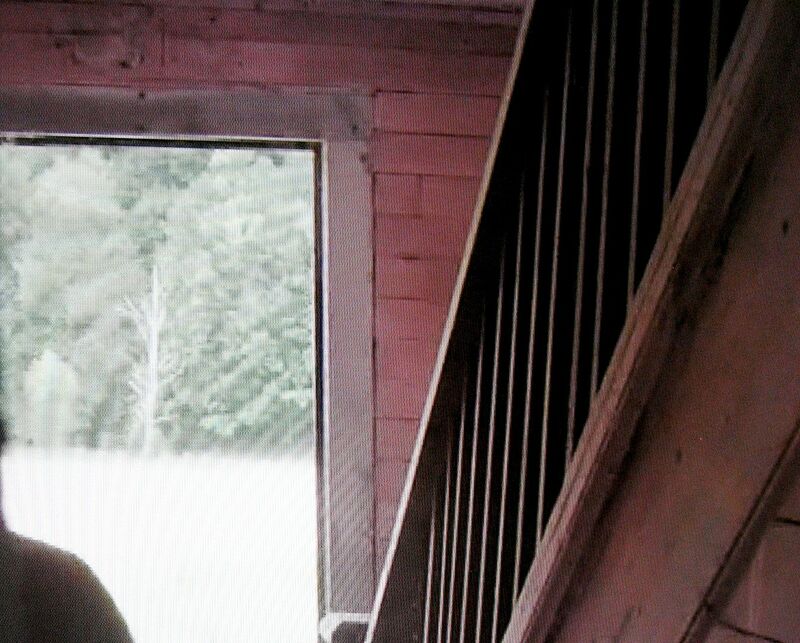 See that Vestibule! Close-up on the details of the old Westly. The details on the Westly in Lewisburg are a little different from the image above. That could be for several reasons. 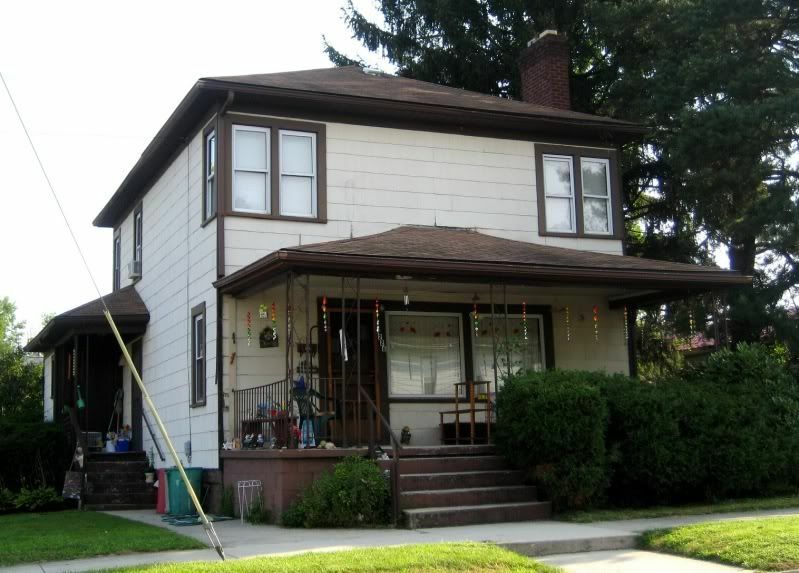 For instance, the front porch has columns that were offered on a later-model Westly. 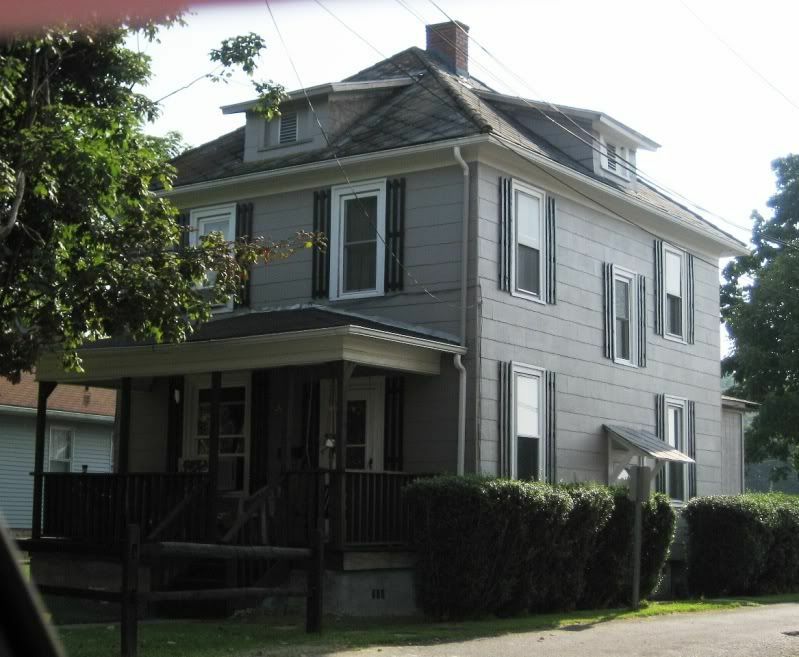 This house seems to have elements of both the old and newer Westly. 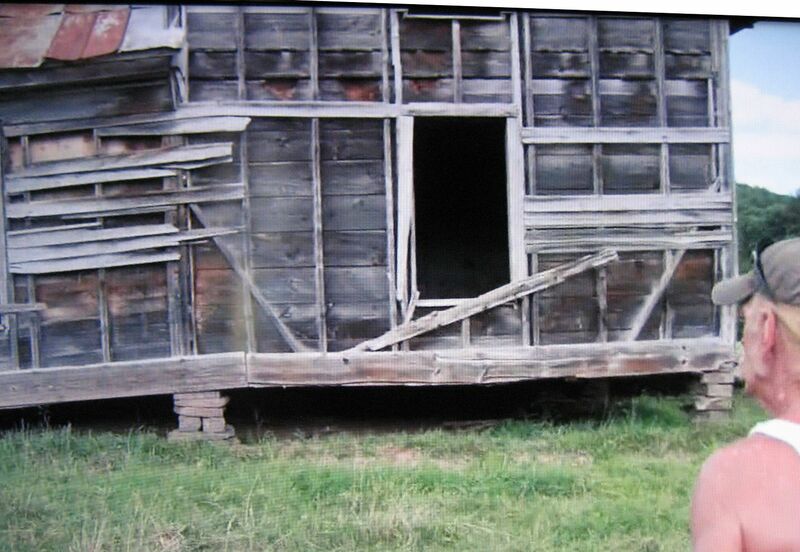 According to PAWV, this house was built in the mid-1920s. 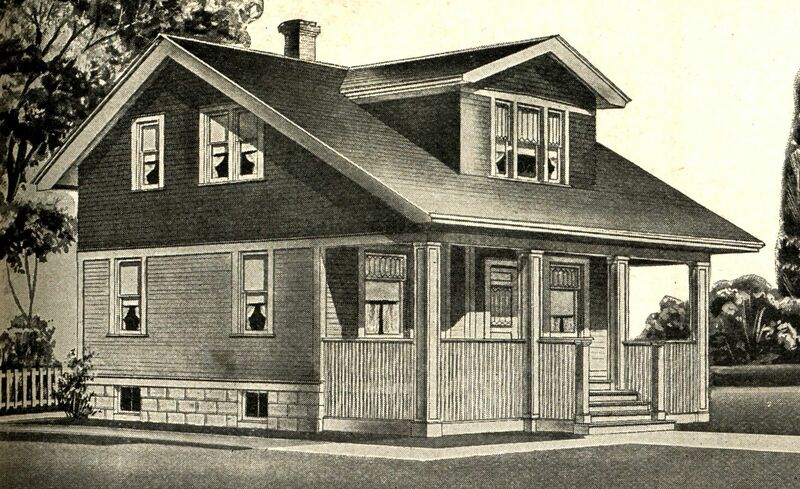 Here's a Westly as seen in the 1919 catalog. 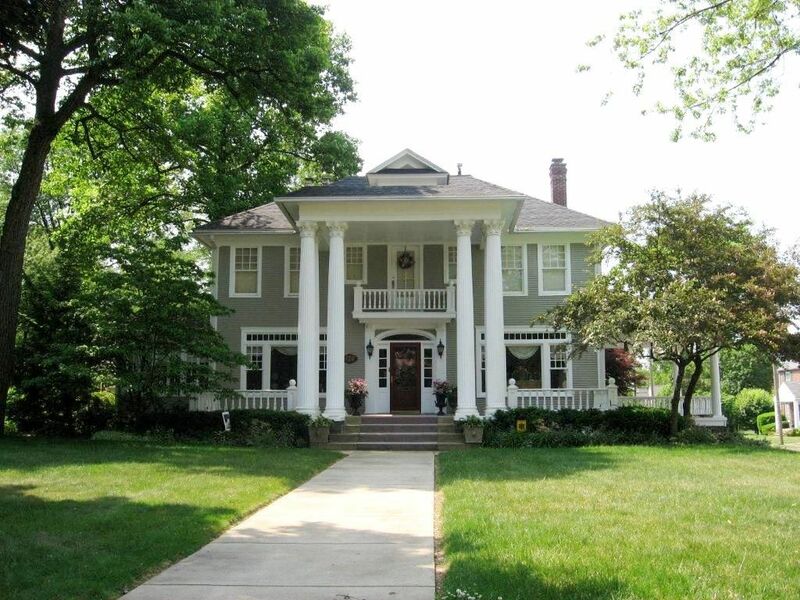 And a real life example in Portsmouth, VA. Notice how the porch columns look more like the Westly in Lewisburg. 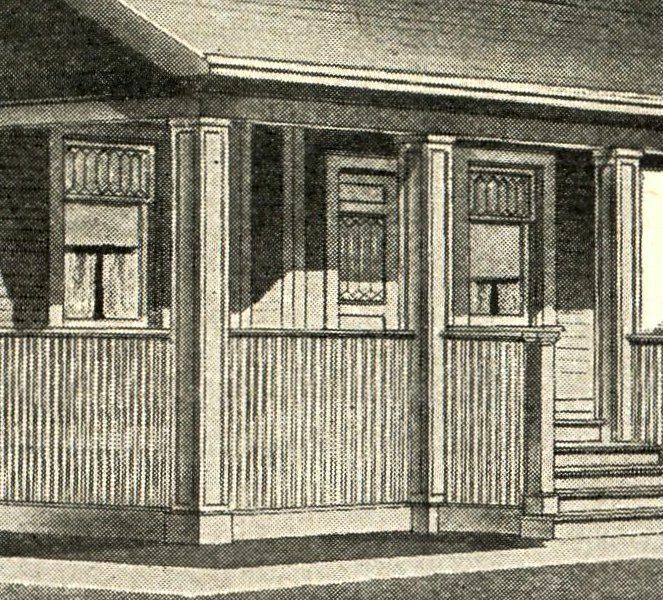 This house also has the windows as seen in the 1909 catalog. 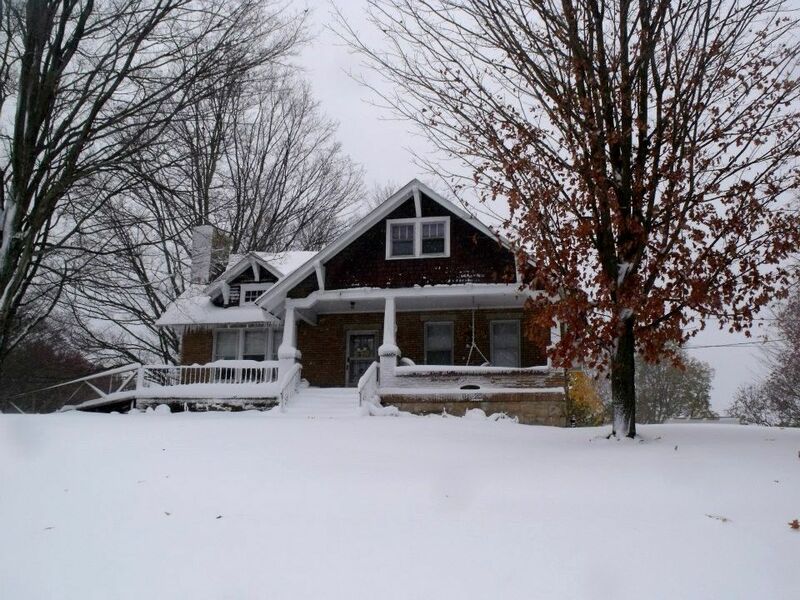 Another view of the house in Lewisburg. The 2012 Toyota Camry: Luxury Plus 46 MPG! More than seven months ago, I purchased my third Camry and my sixth Toyota. Seven months later, I still think this 2012 Camry Hybrid is not only one of the prettiest cars on the road, but also one of the most comfortable. After 9,400 miles, I can report that in real world conditions, it averages 42-46 miles per gallon. That’s nothing short of amazing. This summer, we took a trip to the hills of West Virginia and on that trip, the Camry averaged 46 mpg. For those unfamiliar with the backroads of West Virginia, let me tell you, you’re either climbing straight up a hill or standing on the brakes as you come flying down the other side. Both hubby and I were blown away by the 46 mpg average. I’ve been fascinated by the Toyota Prius since its introduction to the American markets in 2001. 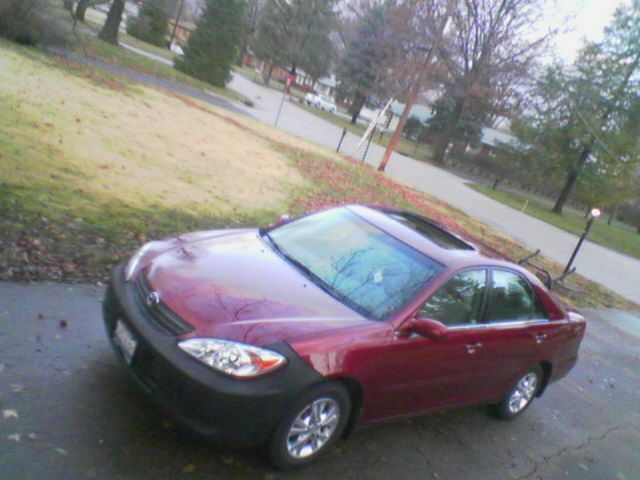 When I purchased my last Camry in 2003 (Salsa Red Pearl LE), I was torn between the Camry and the Prius. And yet, as the years rolled by, I paid close attention to the Prius. The hybrid technology was quickly evolving and it was clearly the wave of the future. 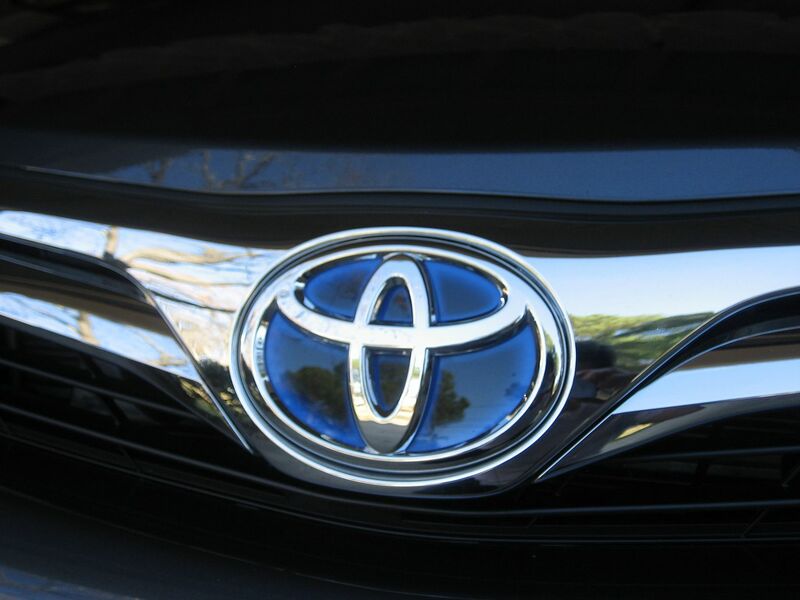 Each year, the Prius had more features, better technology and improved gas mileage. And then in 2007, Toyota introduced the Camry Hybrid. In February 2011, I was on my way to visit a purported Sears Magnolia near Gaffney, South Carolina, traveling merrily along in my shiny 2003 Camry. As I approached the South Carolina border, the “check engine” light blinked on, and I could smell gas. I glanced down at the odometer, which read 152,300 miles and had a sinking realization. I was driving an old car. I made it home without incident, and took the car in for repairs. Total cost: $1,300. For the next few long trips, we rented a car. That was a lot of hassle. I’m a car person. I love cars. In the 1970s, I took two years of auto tech at a vocational school in Portsmouth. There’s nothing about cars that isn’t fascinating. In April, we rented a 2012 Prius for a weekend trip. I was in love. 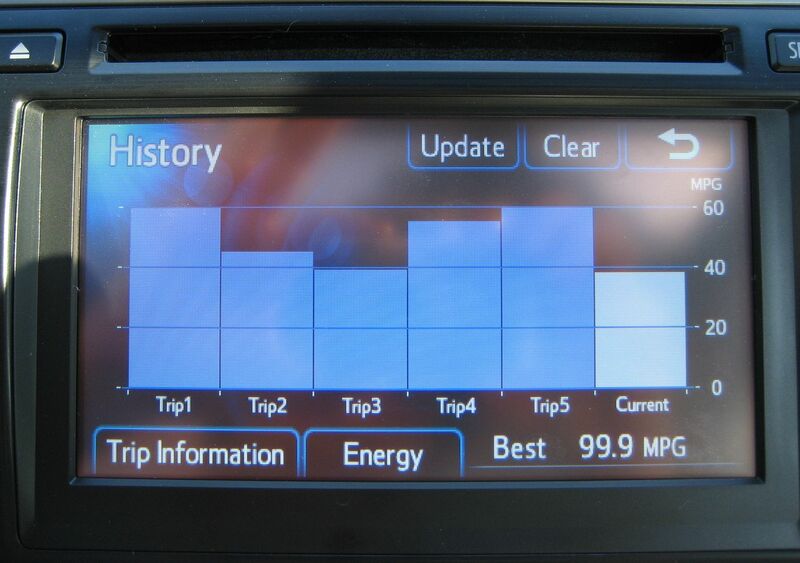 The Prius was a fun car, full of gadgetry and pie charts and diagrams and all manner of displays. And we averaged more than 50 mpg on the trip. The next weekend, we went car shopping. The Prius had been a delight to drive, but I didn’t like the front seats. Plus, the Prius hatchback had a harsh ride. I loved the technology but my aching back needed something more comfortable. 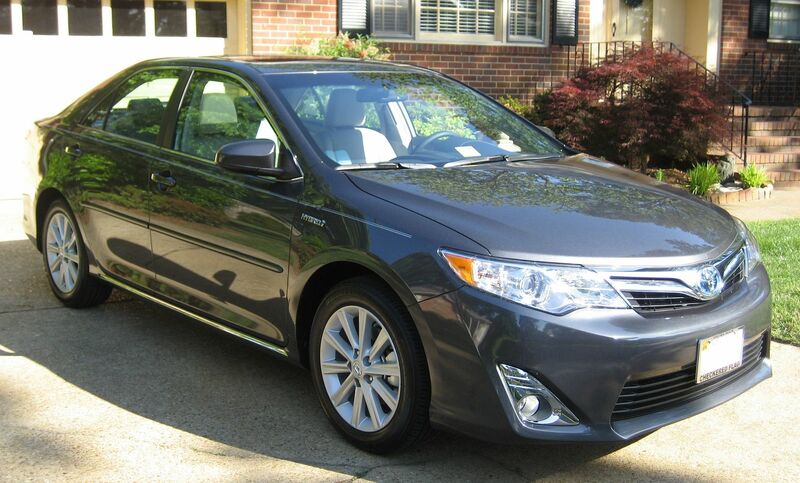 After more research, I opted for the 2012 Camry Hybrid XLE. In 2012, the Camry was redesigned and re-engineered. 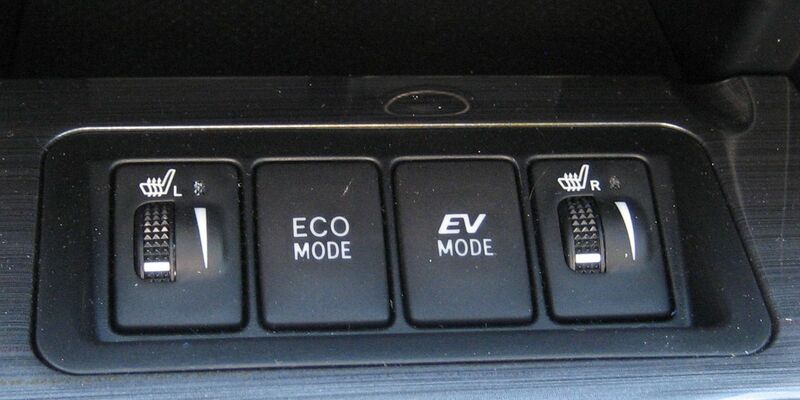 The 2012 model gets eight more miles from a gallon of gas than the prior year’s model. My car is rated at 41 (combined city/highway), but I’ve averaged 42-44 mpg in the city. The 2012 Camry boasts 200 hp (up 13 hp from 2011). The ICE produces 156 horsies, and the electric motor kicks in about 40 horsepower. The battery pack (34 nickel-metal hydride modules) eats up a bit of trunk space, and yet the 2012 still has 13.1 cubic feet of suitcase space (2.5 cubic feet more than the 2011). Under hard acceleration, you could really feel the shift points of those four gears in the 2003. In the new Camry, there are no shift points. The continuously variable transmission is an engineering marvel, picking up energy from two different sources (gasoline and electric) and transmitting into smooth forward motion of the front wheels. And best of all, the CVT provides both faster acceleration and better fuel economy. The 2012 Camry Hybrid does 0-60 in 7.6 seconds. The V6 Camry (3.0 liter) only beats that by about one half of one second. In exchange for that half second, I get about 15 more miles out of each gallon of gas (compared to the V6). The car really shines in the short jaunts around town. Driving through residential streets in Hampton Roads and looking for kit homes, I can hit 55+ miles per gallon. That, together with a 17-gallon tank means that you can drive 935 miles between fill-ups (as long as you don’t go more than 30 miles per hour). 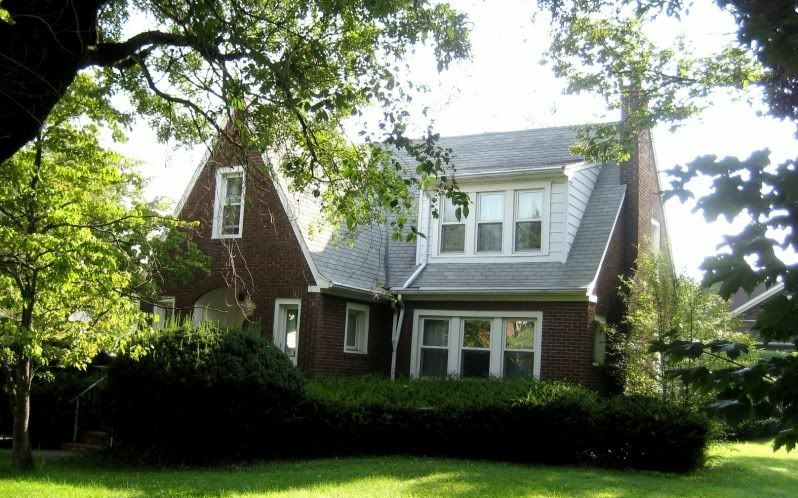 When I’m out hunting for kit homes, tooling up and down tree-lined residential streets in early 20th Century neighborhoods, I drive about 15 miles per hour. The Camry Hybrid loves that speed. 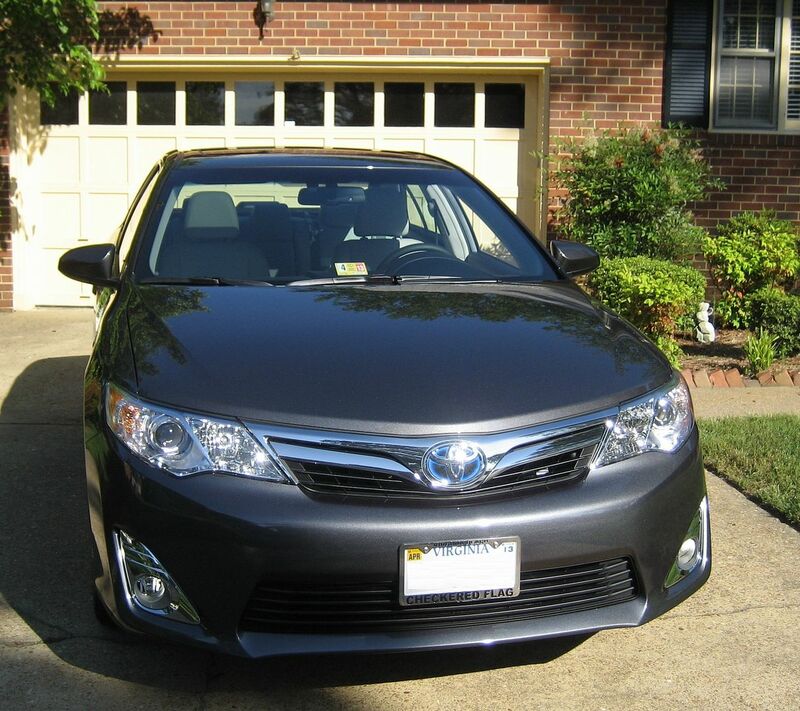 Toyota has created the perfect car for house hunting: The 2012 Camry Hybrid. Kit home history, that is. Ready to buy one of your own? Click here. The 2012 Camry is not only a high-mileage wonder, but a genuinely beautiful car. And fun to drive, too. Average fuel mileage has been 42-46 mpg (and I don't move slowly). I prefer "colors," but this metallic gray is dazzling in the sunlight. Consumer Reports (Magazine) estimates that in another 10 years, we'll all be driving hybrids. It's an amazing technology whose time has come. 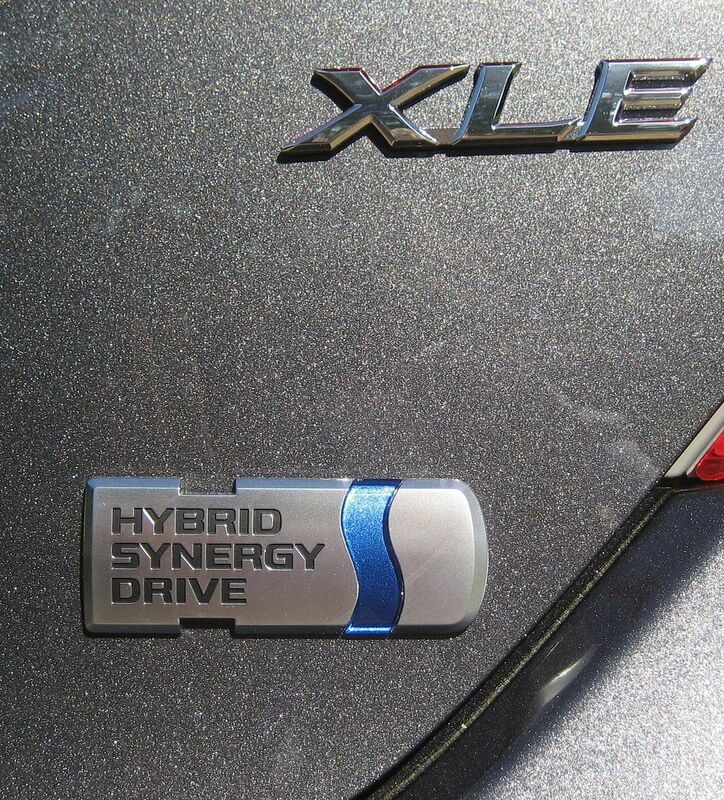 The blue badge on the front and rear differentiates the hybrid Camry from the non-hybrid . It's a nice feature, but no one can look at it without reaching out and touching it. The charts and diagrams are a source of endless entertainment. 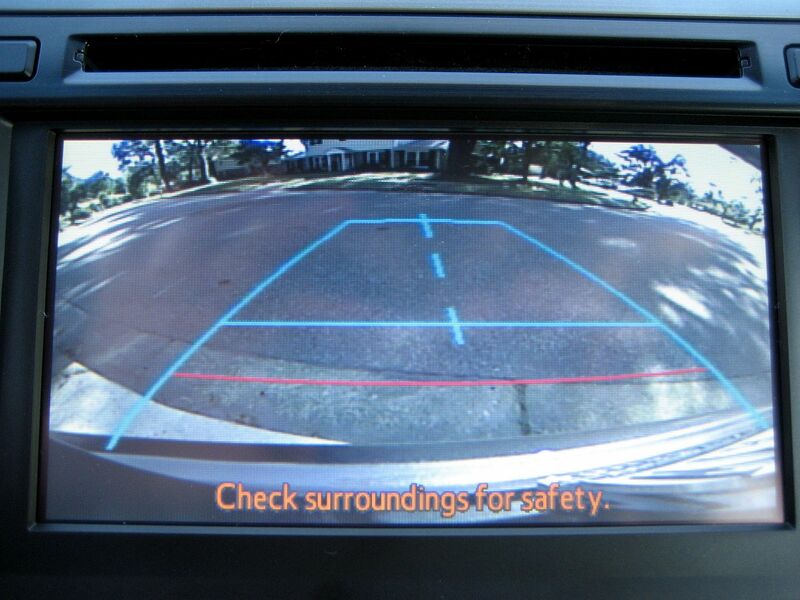 A back-up camera lets you see what you're getting ready to plow down. It's a snazzy car! 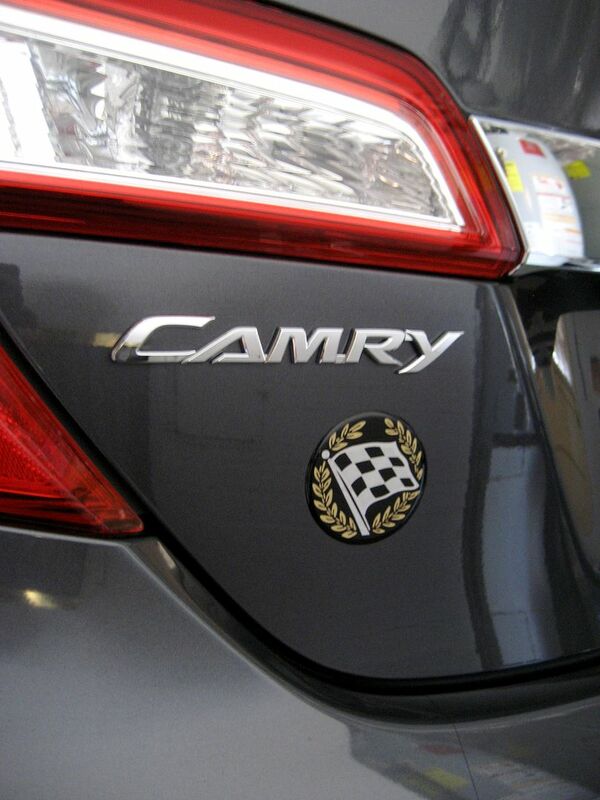 And it came from Checkered Flag Toyota in Virginia Beach. To place an order for your own sweet ride, click here. 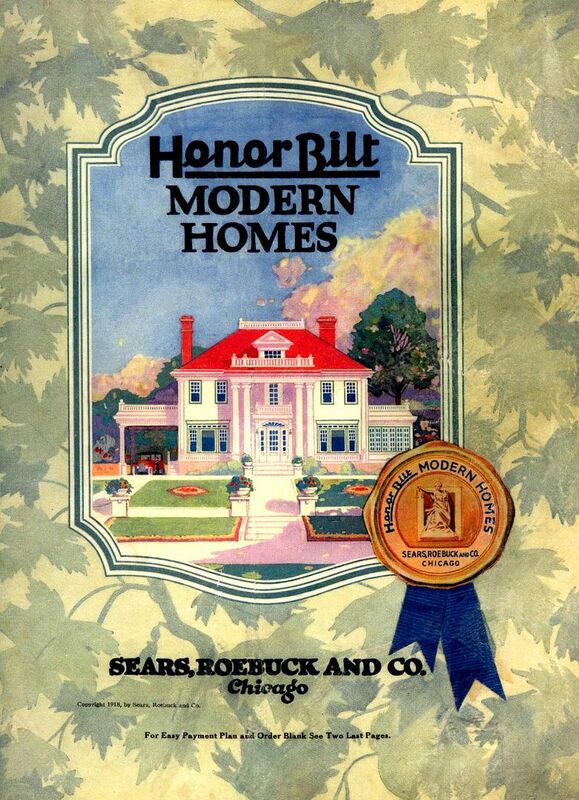 Oh, are you here to read about Sears Homes? Click here. Elkins Vintage Trains: Picture Perfect! To their credit, Elkins has done a first rate job of restoring their early 20th Century train depot in the downtown area. And I surely do hope that some day soon I can return to Elkins and be one of the lucky souls that enjoys one of the excursion rides offered on vintage passenger cars. 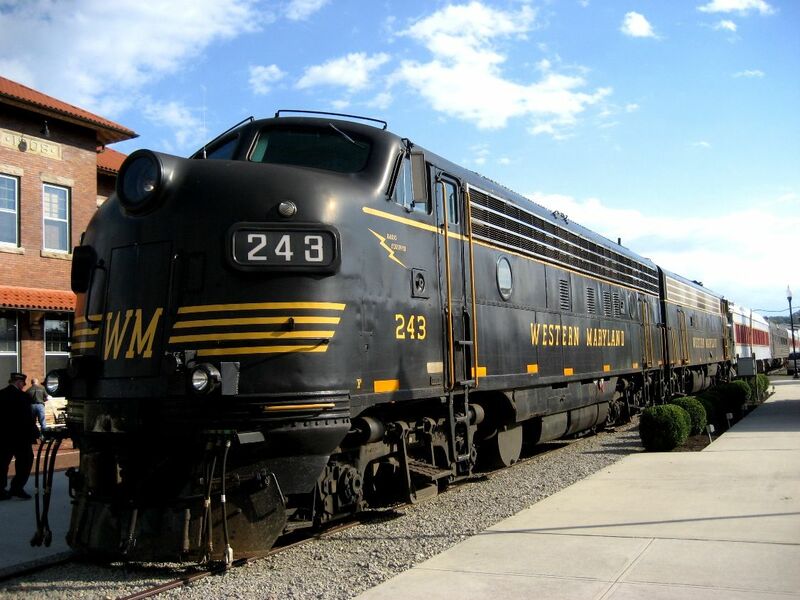 This train does excursion rides down to Cheat River Junction and Durbin (West Virginia). 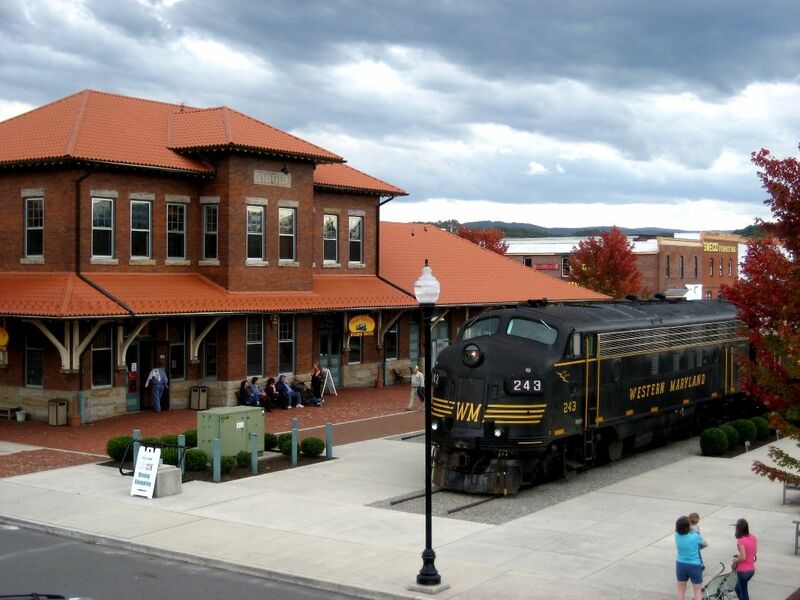 Here's a picture of the restored Western Maryland depot in Elkins, WV. The view is so perfect it looks like something from a model train set - but it's the real deal in Elkins, WV. 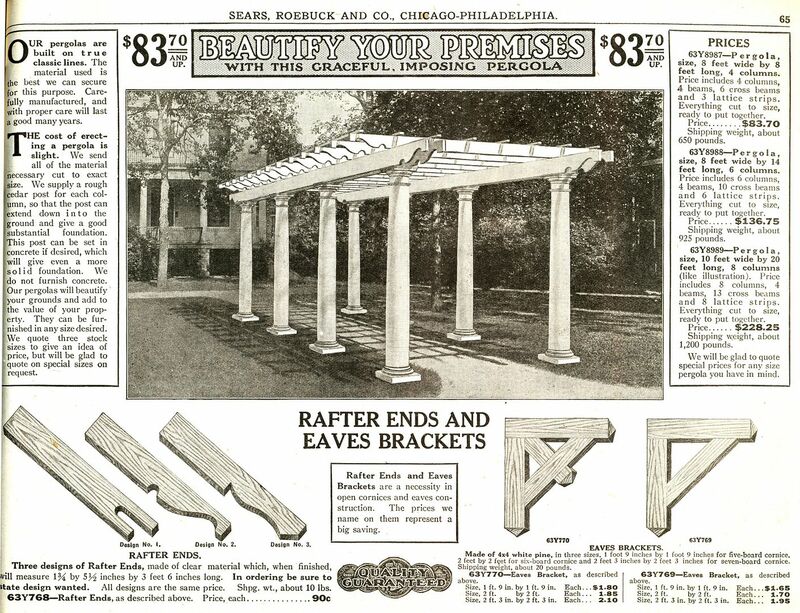 Beautify Your Premises with a Sears Kit Pergola! 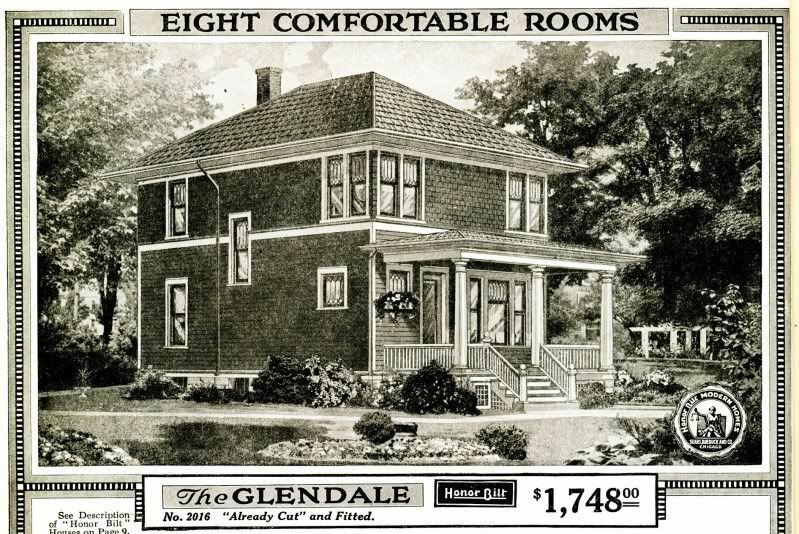 This image came from the 1921 Sears Building Materials catalog, and I just fell in love with it. 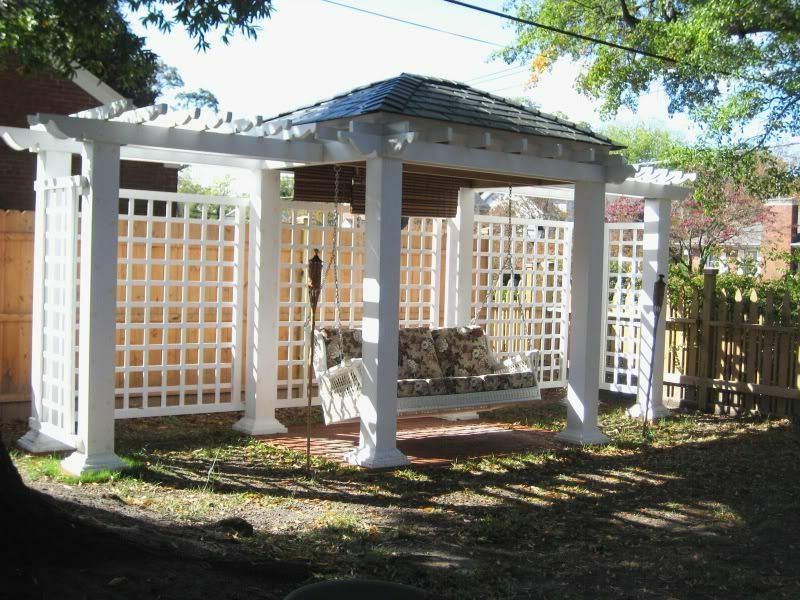 I’ve seen a few pergolas like this - randomly placed in a back yard - and they’re all stunning. And it’s an easy-to-build kit! 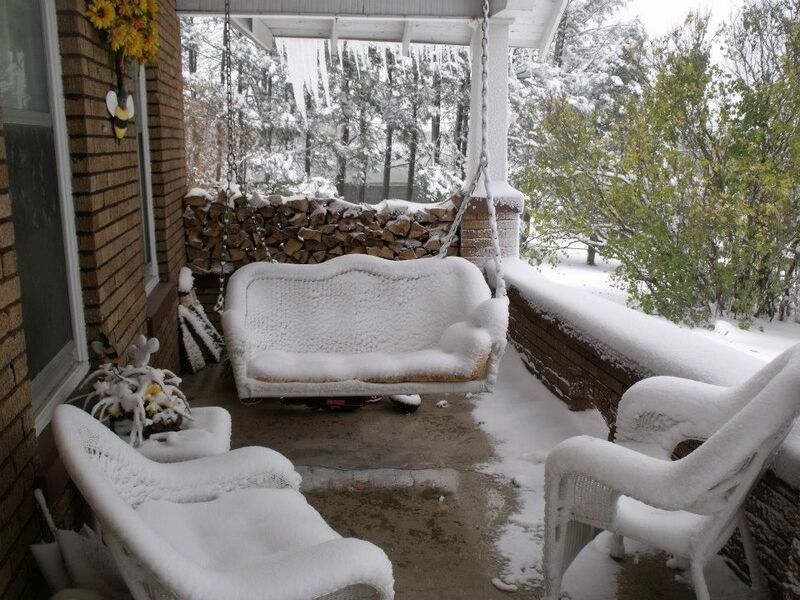 My own pergola (built by my nice-guy husband) is shown below. 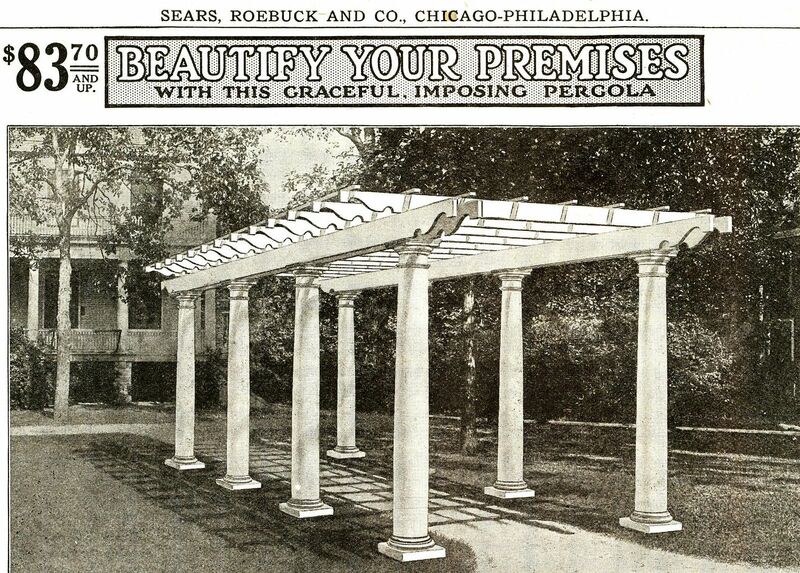 Pergola as shown in the 1921 Building Materials catalog. And it only weighs 1,200 pounds! The pergola built by Wayne Ringer is a thing of beauty! I love Elkins, WV. It’s a beautiful place and a lovely city. And I love the people of Elkins, too. Especially this guy (pictured below), sitting on the rock. 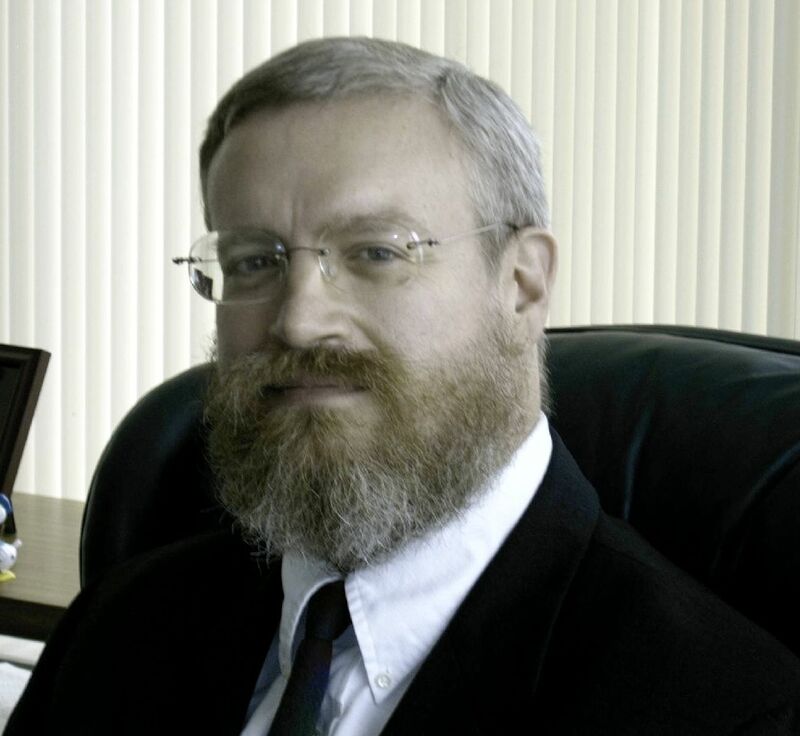 His name is Wayne Ringer and he’s from Elkins, West Virginia.